How do I insert clip art in Word 2007, 2010 and 2013 and other Microsoft Office applications? However, the very useful point about clip art is that it’s copyright free and so simple to use: you can pop a MS Office clip art image into your presentation or document and know that you’ve not stolen someone’s work of art (although there are copyright rules about using them in commercial publications). They’re also not as ‘cartoony’ as they used to be, including photographs as well as drawings, and there are some really good images: I found this great one when I searched for “editor”, for example! This article applies to Microsoft Office applications such as Word, Excel and PowerPoint. Examples are taken from Word, but the process works in the same way in all applications. 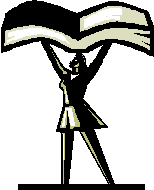 Of course, choosing and inserting your clip art varies between Word (Excel and PowerPoint) 2007/2010 and Word (Excel and PowerPoint) 2013, so if you want the latter, please scroll down a bit to the relevant heading! 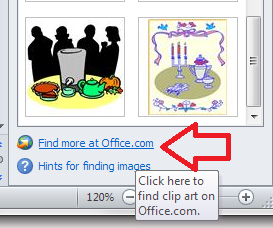 How do I use clip art in Word 2007 and Word 2010 and other Microsoft Office software? Stop press – you might only find you have the option to search online now – as Microsoft have withdrawn the copyright-free clip art they had offered for so many years. I believe that if you have a standalone version of Word that doesn’t receive updates, the clip art will stay, otherwise you’ll just now have an option to search Bing. Very annoying! You will also notice here that the image is selected and can be enlarged and reduced using the little blocks around the image outline. It can also be moved, if you hover inside the box until an arrow appears. For more on placing images in text, please see this article. 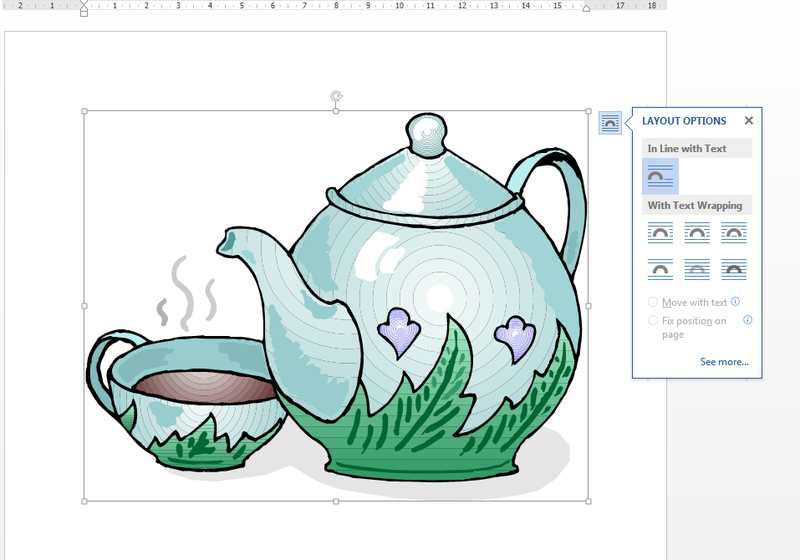 How do I use clip art in Word 2013 and other Microsoft Office software? 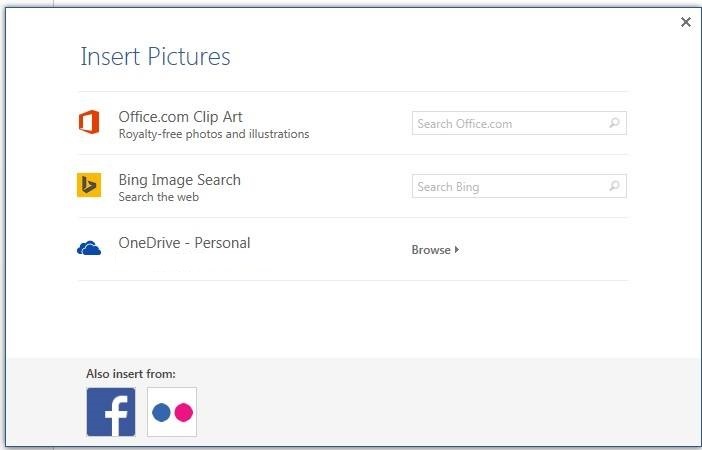 For Office 2013, Microsoft went all online-based, and as a result, the way in which you access clip art changed. Note that these instructions work for both the standalone version of Word 2013 (and other software) if you bought it once, and the subscription version through Office 365 which downloads updates periodically. 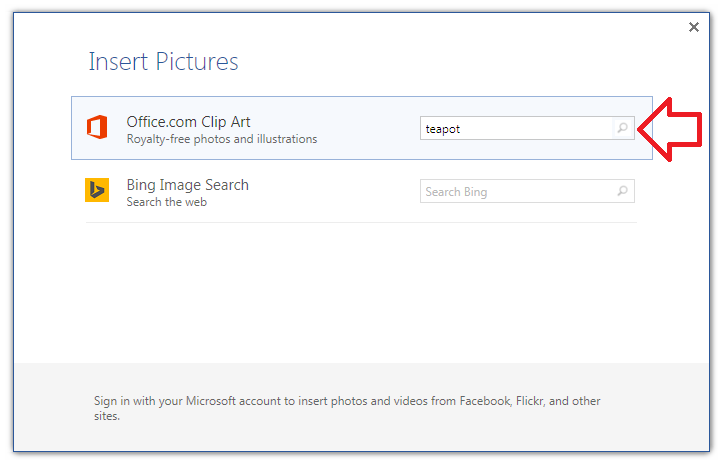 You now have the option to search royalty-free illustrations on the office.com clip art website or do a Bing Image search for general images. 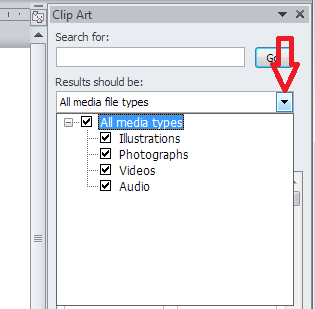 Note Unless you have a completely standalone and isolated version of Word 2013, you will not now have the option to use clip art based within Word itself – you will probably just see Bing search. If you don’t get updates on your version of Word, it’s likely you will still have them, because Word can’t update itself to make them go away. Grrr, frankly. Note that in Word 2013, not only do you get the frame which allows you to change the image size, but the Layout Options dialogue box also pops out, allowing you to choose where the image sits in any text you might have. How do I make pictures go where I want them to in Word? How do I stop the pictures jumping around when I edit a Word document? This is part of my series on how to avoid time-consuming “short cuts” and use Word in the right way to maximise your time and improve the look of your documents. If you’ve enjoyed the post or found it useful, please use the sharing buttons below to share it via your social media networks – thank you! Please note, these hints work with versions of Microsoft Word currently in use – Word 2007, Word 2010 and Word 2013 and other Office software for PC. Mac compatible versions of Word should have similar options. Always save a copy of your document before manipulating it. I bear no responsibility for any pickles you might get yourself into! Find all the short cuts here … and see the full resource guide here. Is this info outdated of ir my computer caput. Mine used to work exactly like the first description you give, but recently there are no pictures showing up. Ah, yes, if you have a version which is linked to Word Updates, they have retired clip art … Will update the post soon! I have now updated this post to reflect the fact that most people will not now be able to access the clip art in the way it describes. Grr. I’m sorry, I have no idea how to fix that. I assume you’re going through to Bing to search. Does your version of Word need updating, do you have updates waiting on your PC? Other than that, I’m really not sure, I’m afraid – sorry! I’m seeing exactly what you are seeing SMG, on Office 2007 or Office 2010. Something has changed in the bing search in the last couple of days. OK, looks like there’s an issue somewhere, then. I can no longer see the Royalty Free Clip art search bar that used to show in the Online Insert Pictures. 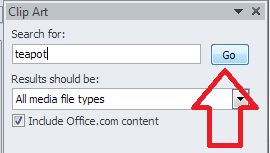 Seems to me that during an MS Office upgrade Microsoft remove this bar. The only one I see is Bing. I appreciate if you could research a little bit and let us know. Thanks for your comment – yes, I’m updating the blog post now to include this annoying new development! I am trying to put some clip art into a document. 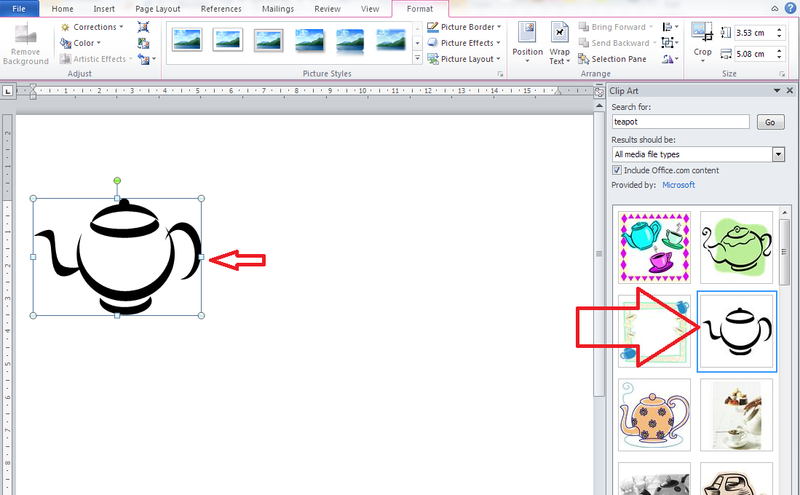 When I click ‘insert’ then ‘clip art’ it opens a new pane at the right side of document but does not display the images. When pointer is hovered over where the image should be it gives a title, and if I click it will insert the clip art into the document. But I would like to see images before inserting. Can you help please? Hm, so you get the images when you click on them, but you can’t see them when you hover over them? Can you let me know which version of Word you’re using and on PC or Mac, and also whether you get Word updates through a Microsoft account or bought it as a one-off and never get updates – I’m wondering if it’s to do with them moving over to online clip art. Has this always happened, or only recently? I just found your post and thank you for your hard work. I teach MS Word 2013 and Microsoft’s own book is not up to date. Their textbook wants us to edit clipart by right clicking on it and choosing edit picture, but it is greyed out. Is this also part of their “update”? Have you tried inserting the picture and then editing it – I don’t have edit picture greyed out once I have clicked on it and got the line around it showing it’s been selected? It is after I insert a piece of clip art that I do not get the option to edit. (I just tried it with a normal .jpg and it is still greyed out). I teach 29 kids and they all have the same problem – a greyed out edit picture from right clicking on the picture. BTW, Thank you for responding so quickly and have a great Easter! Hm – annoying. I just tried in Word 2013 and editing is indeed greyed out for me. I can do it in Word 2010 still, though! Must be one of their updates, I suppose because the images they offer are now web-based ones under creative commons licences so they won’t let you change much. The only option would be to save the image on your computer then insert it, I suppose. Have a good Easter yourself! 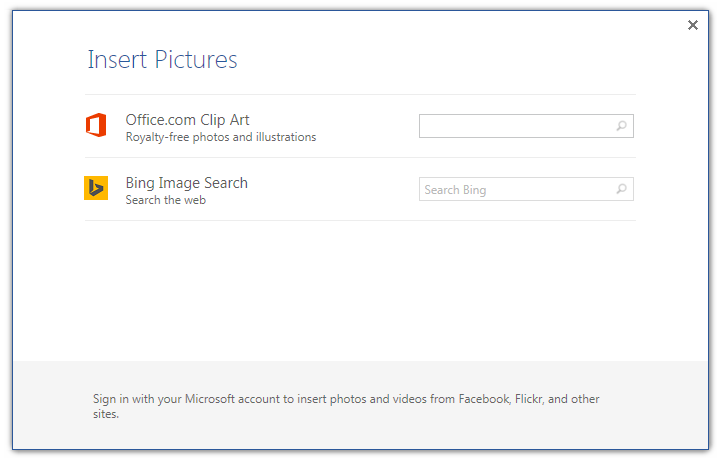 Online picture in office 13 is just stupid idea in place of cliparts! It’s certainly quite annoying and encourages people to plagiarise random pictures off the Internet! 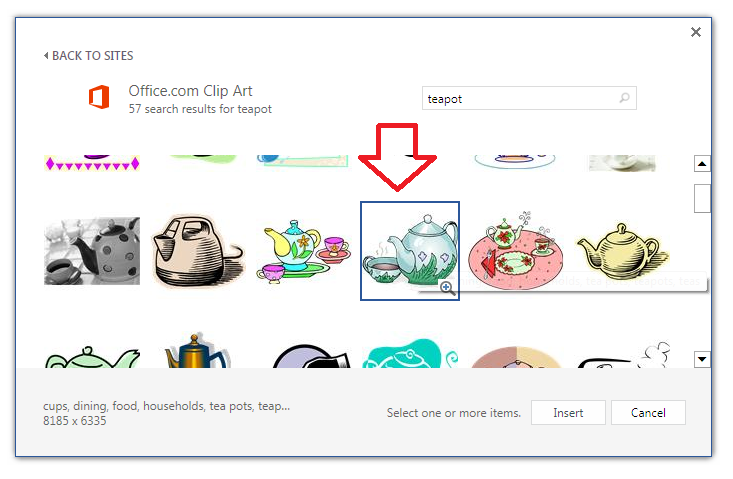 I am appalled that Microsoft have removed clipart! I also train Students in Word and want to teach clipart. Here is my work around, on the Insert Tab I selected My Apps. I selected more apps and scrolled a fair way down and found Open Clipart it is free, it opens in a task pane on the right so suits me for training students. It is not as grand as Microsoft Clipart but as it is gone this is better than nothing. I know – and thank you so much for sharing your own workaround – much appreciated! I go to insert clip art and instead of seeing the picture I see a square with a circle, square and triangle in it. If I click on it, it does paste the picture onto the page. Unfortunately I cant see what the pictures are without pasting each one onto the page. I too have this problem and look forward to the answer. To be going on with I am using google to search for cartoon/clip art and then copying/pasting into document. Please see my reply to the original poster, I can’t replicate it in my versions of Word (2010 and 2013). Please let me know which version of Word you are using, and whether it’s for Mac and PC, then I can see if I can offer any solutions. Thank you for your question – unfortunately I can’t replicate it in my versions of Word (2010 and 2013). Can you please let me know which version of Word you are using, and whether it’s for Mac and PC, then I can see if I can offer any solutions. Unfortunately, although I can’t replicate this myself, I am seeing this as a common problem when people update. It looks like if you have a subscription version with updates rather than a one-off purchased copy, the clip art option has been removed in a recent update. I agree, but unfortunately they have done so. Just read your post while trying to find an answer to my problem. In the past (yrs) used to be able to select a clip art in Bing and insert it into my doc. For the past month, when I try to insert clip art I get “An error occurred while importing this file followed by a string of numbers. I have been using Micro Soft word for many years and can’t figure out my problem. Has anyone run across this, too?